Jacob Peterson is raising awareness on behalf of 250K Americans with dystonia. 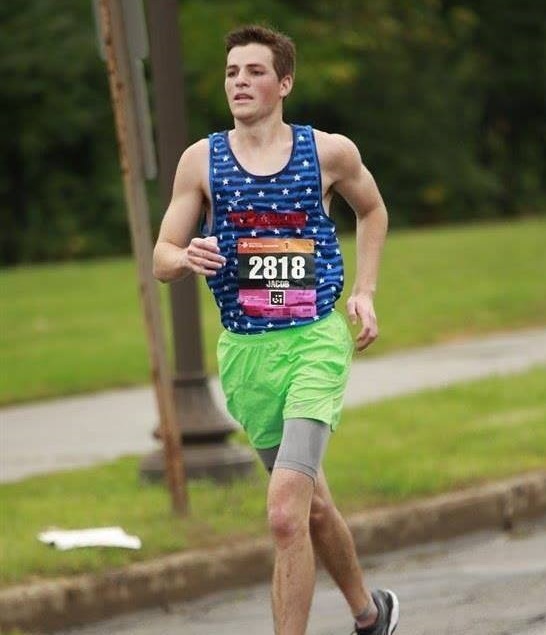 EDEN PRAIRIE, Minn. - March 20, 2019 - PRLog -- 22-year-old college student Jacob Peterson will arrive at the 2019 Boston Marathon starting line on Monday, April 15 against incredible odds. Peterson is affected by myoclonus-dystonia, a rare and often disabling neurological movement disorder. Peterson experiences uncontrollable jerking movements in his arms and upper body, tremors in his legs, involuntary blinking, muscle spasms in his neck and voice box, and anxiety. "Dystonia doesn't only affect you physically," Peterson explains, "it affects you mentally, and it's exhausting." His dystonia symptoms disappear while running—a fact often reported by individuals affected by the disorder. Peterson was born on Marathon Sunday during the 1996 Olympics, and inherited a love of running from his father. Watching the Boston Marathon on TV as a child was especially impactful. By the fourth grade, Peterson wanted to run a marathon. "I want to spread awareness, and run on behalf of those with dystonia who can't. My case is not as severe as other people I have met," says Peterson. He was diagnosed with myoclonus-dystonia at age 17. Peers have mistakenly suspected he was on drugs, thought he had Tourette syndrome, and ridiculed him. "I understand. I've matured, and I take it better now," says Peterson. "People still give me looks sometimes in public, but I chose to smile and move on." While training for the Twin Cities Marathon to qualify for Boston, Peterson was assaulted, and his jaw broken in multiple places. In addition to his faith and the support of family and friends, continuing to train helped him recover from the trauma. "I thought, if can get through that, and I can get through dystonia, I can run a marathon," he says. Qualifying for Boston was even more meaningful in the aftermath of the assault. Ben Beach, who holds the record for most consecutive Boston Marathons, has focal dystonia in his foot. There are multiple types of dystonia that impact people of all ages. Common signs include abnormal movements of the head and neck, excessive blinking, a breathy or choking voice, hand cramps, or a twisted foot. Individuals may also experience chronic pain, depression, and anxiety disorders. Dystonia is frequently misdiagnosed. Estimates suggest no fewer than 250,000 Americans are affected.